My 16-year-old daughter has the type of brain that makes her either a joy or a nightmare to teach. Her synapses and neurons never seem to stop firing, making connections between theoretical, abstract concepts that she has been taught and the real world. Perhaps that’s why and how she had an A* for her IGCSE maths without tuition or any extra work. This is of great interest to me from an academic perspective, because I have long believed that ‘difficult’ subjects such as maths is easy, if approached correctly. 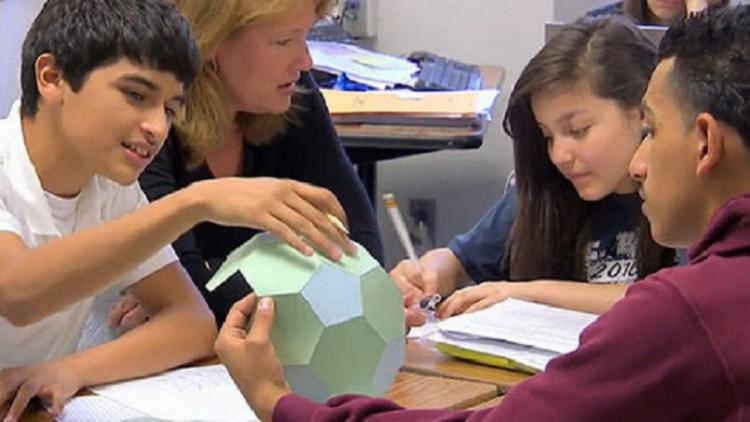 Recently, I published an article here about a new piece of research, which shows that there is no such thing as a ‘maths brain’. If young children are taught to understand volume, shapes and quantities early on, their subsequent relationships with numbers become more natural and more intuitive later on. Perhaps because she grows up in a household with a teacher for a parent that my daughter is very comfortable with doing mental acrobatics and taking numbers out of the 2-D books into the real world. One of our friends, a maths teacher by the name Gary Macaulay, was a regular entertainer in our household. He taught Georgina about tetrahexaflaxagon, which had nothing whatsoever to do with the maths syllabus but nevertheless opened her mind to the fact that numbers, shapes and the real world are somehow interconnected. Gary also got our family into geocaching, and running around the wilderness on hot Kuala Lumpur afternoons, we learned about coordinates, reading instruments and our bodies as we scrambled up small hills and waded in streams. Yesterday, sitting in the car, she stared at this bottle of mineral water with her beady eye. “How do you make it symmetrical?” I asked. She regularly reshuffles and backflips letters such as ‘Phuket Photography’ or ‘Patong Shooting Range’ on car journeys on the way to school to make those pesky signs conform to her tireless quest to look for patterns in the world around her. She is thus comfortable with seemingly abstract concepts associated with both maths and the physical sciences. This is my suggestion for a little conversation during tutor time: how many ways can you arrange these fruits? 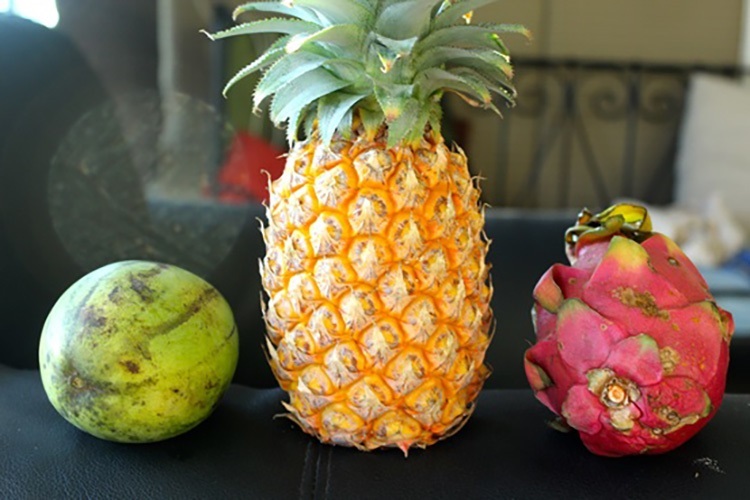 It is something fun to do for a few minutes, but of course, the act of rearranging these three fruits is all about permutations, inverse permutations, operations, identity and the basis of algebra. But perhaps, most of all, this little exercise begins the conversation and thus, fosters the process of seeing the abstract as a language, and a familiarity. Similarly, in an age where children are more at home tapping iPad screens than they are getting their hands dirty, I believe there is much value in returning to an ethos of making things as a pathway to understanding the fundamentals of the physical world that they live in. 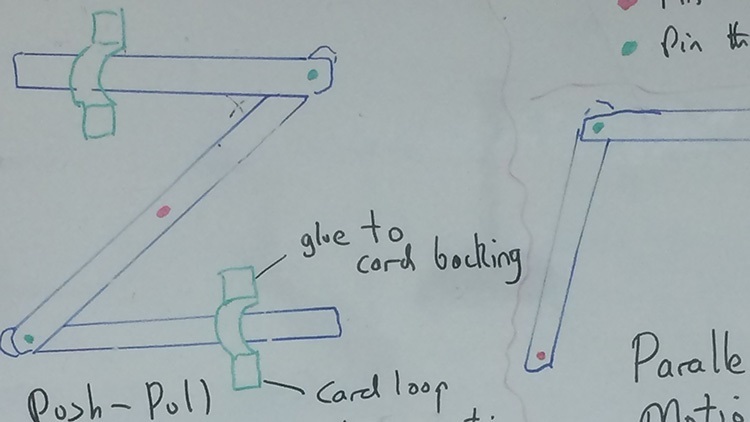 This is an example of some students’ work on levers: taking a concept from the drawing board to realising the design. 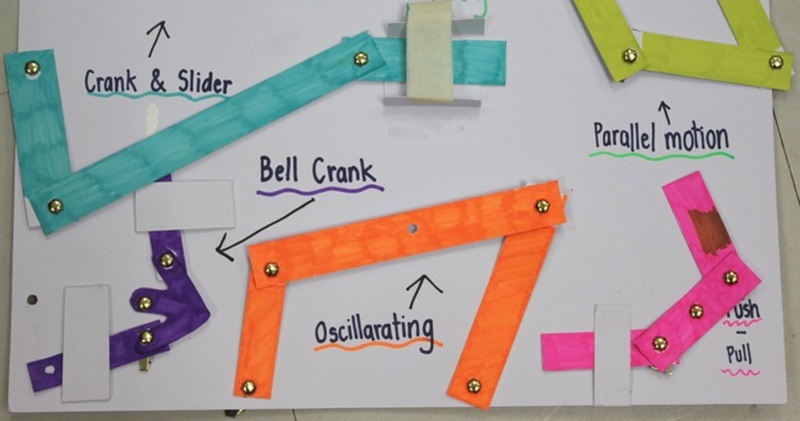 In order to understand possibilities with levers, students can see examples of the motion of levers via the computer simulations. Though computers are good teaching tools, the question has to be asked whether students do see all the issues. Example: the problem of connection and being attached in such a way that rotations can take place unhindered. Such discovery can only be made through practical experimentation and first-hand experience. 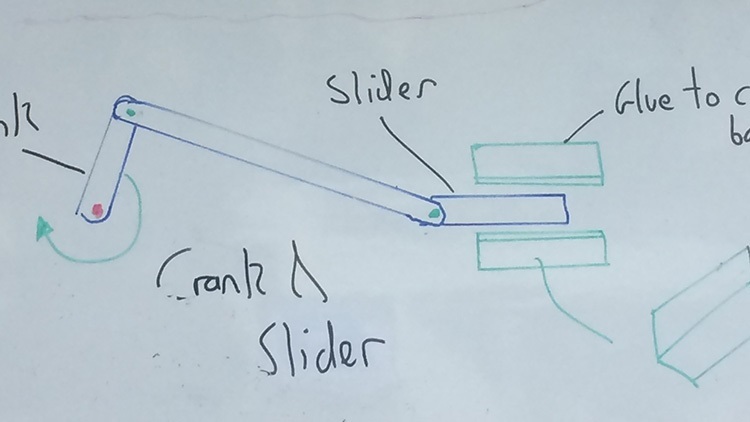 This cements the knowledge that a passive computer screen doesn't, and the beauty of making levers is that it only takes one lesson. Will students remember these lever systems better, having experienced the making part, or was it sufficient to stop at the computer level? Similarly, is it worth spending a few minutes of tutor time playing with three fruits in a bid to make a connection between the real world and maths? This is a serious question, given the constraints of curriculum time.